My girl. Her Junior/Senior. 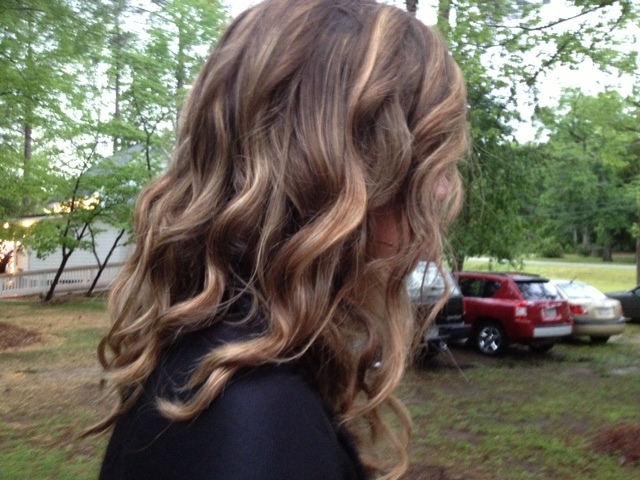 No, really, it’s her first and last prom. It’s a long story but this is her junior and senior year, so this is it. THE PROM. She hemmed and hawed as we do about whether she would go or not. In the end, she wrote her own check and bought her ticket. Let me just tell you this is HUGE. I am so proud of her. She was intent on going and having a great time. With friends. I love that. I didn’t have her courage or grace when I was her age. The jury is still out on whether I have as much as she does now. She then planned out her shoes, found them at a different location of the GW Boutique. Yesterday she got some inexpensive stuff to do her nails and today she did them herself. I am telling you, this girl can make a party out of nothing. She just has that gift. This afternoon she visited our sweet neighbor friend and talented hair stylist, and she got her hair did. It was beautiful. So we had all the puzzle pieces together, time to put them in place. She started getting dressed and came to me to help her zip up. Oh y’all. I just about cry when I think back on it. Just a few hours ago. My girl. Beautiful. I tried to zip but I didn’t have my hands in the right place. So yeah. This happened today. 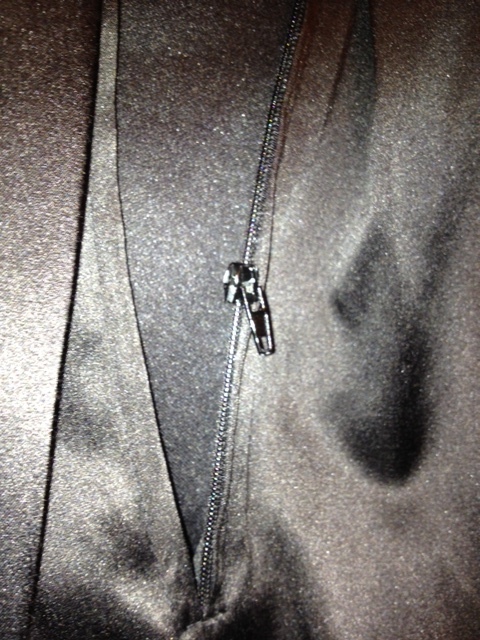 This zipper is broke…..and so was my heart. I love this child. I try not to spoil her. But I’ll be a monkey’s uncle if I’m going to let her miss her prom, after she made the decision to go and got her outfit together with such a good attitude and open heart. And you know what? It did. We had a twenty minute ride to the closest store that might possibly maybe have a dress in stock. She had called them, and we were hopeful. In the meantime she was texting our other dear and treasured neighbor friend who was pulling dresses from her closet and texting pictures in case the shopping trip was for naught. Have I mentioned I have great folks all around me? Love my neighbors. Yeah, these folks make that an easy commandment to follow. We laughed as we made a game plan for our dash-in-try-on-buy-and-dash-out mission. Failure was not an option. Despite the rain, she kept her cool and her hair in place. We walked in and saw a beautiful selection of dresses right away. My eyes went to the chartreuse immediately (yeah, it’s kinda my thing) and Aub’s went to a cute black and white number with BLING. (And she can pull off some bling!) She did indulge me and try on the chartreuse. She thought she looked eight years old. I thought she looked like Tinkerbell, and it was very cute. But the black and white one…..her eyes lit up. The price was right, and the pashmina wrap was on sale (needed–the rain had dropped the temp to 55 already!) and there was a cute pair of earrings to match. And with that we were at checkout right on time. We asked the cashier for a pair of scissors to snip the tags off. (Remember my broken filter? Yeah, I told her about the zipper.) “Oh when is your Prom?” she asked. I checked the time. “Ummm, now.” Sweet young woman. Headed to the same college as Aub next year–for nursing school. She’ll make it. I saw it in her eyes. Aub changed in the car–avert your eyes people. She kept it decent, and we were on our way. She was only fashionably late, thank goodness. And all was well. I am so proud of her for turning her back on a bit of a rough start and setting off for an evening of fun with friends. I love this girl. My girl, turning her back on the past, and headed for the future. You go girl! Tonight I am thankful for a girl who dreams big, who is strong and wise and beautiful inside and out. 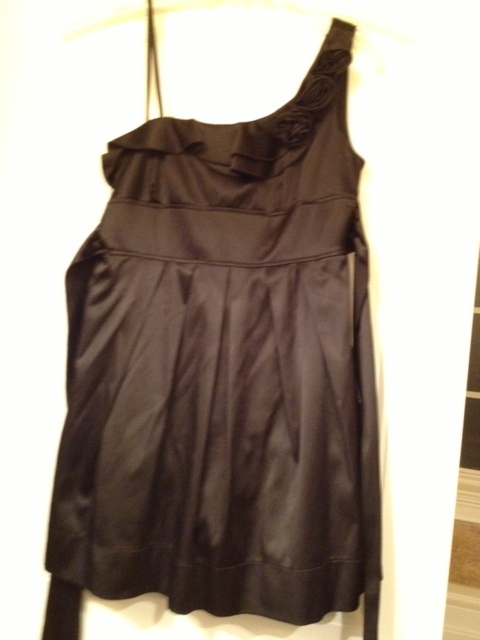 I am thankful that we were able to go to a store and get a backup dress. I am thankful for our conversation and laughter and meeting a new person and hearing her story. I am thankful for kind and gracious neighbors who are a part of the village helping me raise my children. I am very thankful for great hair spray that withstands major humidity and many dress changes and tremendous stress. Finally I’m thankful for the words of wisdom from my cousin–trying to make myself into something or someone I’m not…..yeah, FOR SURE ain’t nobody got time for that. sometimes you just gotta throw some money at a problem. And the money is there because you’ve taught her how to be thrifty all along! Hooray!!!! awesome story…way to go MOM!…and daughter! Thank you. What was so stressful is now a precious memory. I enjoyed your story about your granddaughter’s prom night. What a blessing you could be there. So sweet.